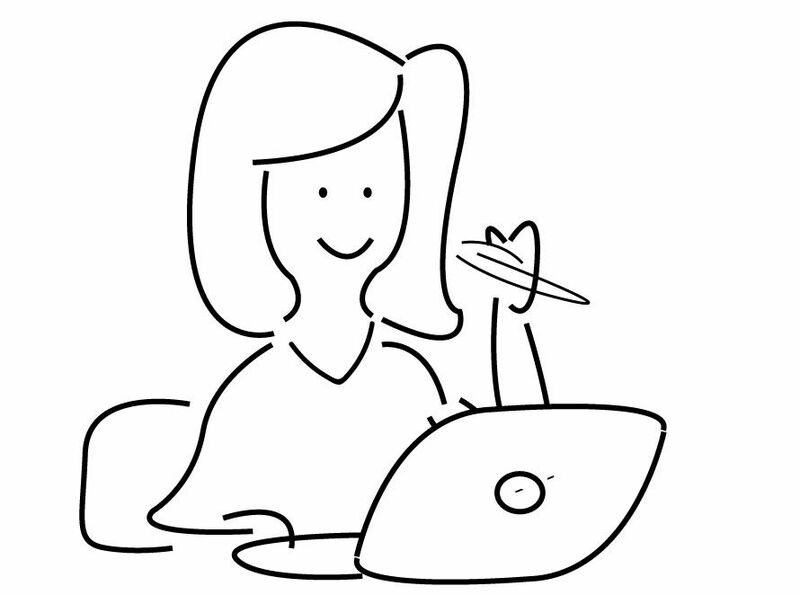 Flexible working is becoming de rigueur as the work environment changes. Working at your own pace in your own space differs greatly from doing the 9-to-5 grind at an office. A dedicated home office—be it a separate room, the basement, the niche under the stairway, or a closet—can provide you with the impetus to work. Get the basics. Let your aesthetic decide what your home office looks like. In an office, comfort scores over aesthetic value. Pick a desk and chair that fit your proportions. The desk should be large enough to meet your needs. Most desks are 29 inches high, 30 inches deep and between 48 and 60 inches long. A dedicated computer table offers the advantage of a built-in, adjustable keyboard shelf, a monitor stand, a printer stand, and storage for diskettes and software manuals. Don’t forget a mouse pad that supports your wrist. Pick a comfortable, ergonomically designed chair. If your work involves spending long hours in front of the computer, your back will thank you for the investment! Choose one that swivels, if you anticipate lots of turning around for phone calls or to check papers. Light it up. The right kind of lighting is important as the wrong kind can adversely affect one’s health, productivity and sense of well being. If you don’t have enough natural lighting, install ample lighting fixtures. Visually demanding tasks necessitate at least 2,500 lumens in a room. You will need ambient lighting and task lighting (for specific areas). 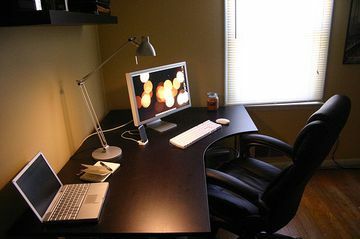 Task lighting in a home office necessitates a desk lamp or a fixture above your computer table. Choose from incandescent or fluorescent lighting. A room that’s done up in dark colours and heavy on wood will need more lighting. If the area around your monitor is not well lit, the contrast between the bright screen and the darkness of the room is sure to lead to eye strain. Store more. Depending on the kind of work you do, you’ll need shelving for books and collectibles, paperwork, journals, magazines and samples. Built-in shelving saves space, but if that’s not an option, consider modular storage pieces. If you’re using a bedroom as your office, use the closet for storage. Add a few extra shelves since papers and files don’t need as much height as clothes. If you plan to install file cabinets, consider legal-size file cabinets. A lot of magazines, envelopes and filing materials are slightly longer than 11 inches and may not fit in a letter-size file cabinet. Keep in mind. Accessibility is an important consideration if clients come over to meet you. Consider a room that is reachable without walking through the entire house. A work area arranged in an L or U shape works best—it ensures that all important items are at arm’s length. Put up a blackboard—it helps to track important appointments. Ensure that there are enough electrical outlets and telephone jacks. Don’t forget power surge protectors for equipment. To avoid overloading, have an electrician look over your home office. Ensure that you tuck away the power cords and computer wiring behind conduit material to avoid an ugly tangle of wires. The last word. De-clutter periodically and ditch items you don’t need. Remember, an uncluttered desk creates a conducive working environment!